My QES scholarship is in Waterloo, Canada. 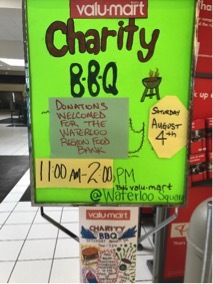 One day, I saw an advertisement for a donation to the food bank at a supermarket in Uptown Waterloo, which I found extremely interesting. What exactly is a food bank? How can food banks help those who can’t get food? What role do food banks play in the urban food system? With these questions in mind, I launched an investigation. I learned that food banks first emerged in the United States in the 1960s. John Van Henzel founded the first food bank “St. Mary’s Food Bank” with the support of a church, to provide short-term assistance to individuals and families with financial difficulties. Today’s food banks are usually set up by non-governmental organizations (NGO) to provide temporary food support to people with financial difficulties, through the collection, storage and distribution of surplus food donated by groups or individuals. I visited the food bank in the Kitchener-Waterloo area and perused its website to learn about the food security situation in Canada and the operation of food bank. Thirteen percent of Canadians live in a state of food insecurity, which means they do not have reliable access to adequate amounts of safe, good-quality, and nutritious food. Each month, over 850,000 people turn to food banks for help; more than one-third are children and youth. The people who visit food banks come from different backgrounds. They include families with children, employed people whose low wages do not cover basic living essentials, individuals on social assistance, and Canadians living on a fixed incomes, including seniors and people with disabilities. 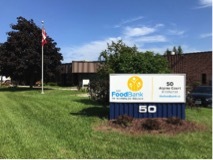 Moreover, in Canada, because the rural population density is relatively low, it is more difficult for rural food banks to obtain funds, and operate sustainably. The biggest challenge in operating food banks in rural areas is the problem of food transportation. Food Banks Canada works with 550 food banks and more than 3,000 food programs across Canada. In addition to a range of food-related programs for adults and children, many food banks also offer other forms of support such as skills training, community kitchens and gardens, and helping people search for jobs, housing, or affordable childcare. Close to 40% of food banks are run solely by volunteers. 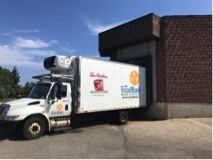 Canada’s Food Bank is mainly a “B-B” (Business to Business) mode of operation, where food banks sort, organize, and distribute food collected from donors to NGOs collaborating with food banks. Food banks in Canada have three main sources of food: corporate charitable donations, personal donations, and government’s support. Among them, corporate and individual donations are the most important source of funding for food banks in Canada. Although food banks in Canada mainly provide food to users, some cash coupons are offered to allow people to freely choose the services they need. I later learned that there are also food banks in China. Food banks originated in China in 2013. Shanghai’s Metro supermarket distributed food near to its shelf life to a nursing home, which is a prototype of Chinese food bank. The completion of the Shanghai Oasis Food Bank in 2014 marked the beginning of the development of food banks in China. Up to now, Oasis Food Bank has helped 5,000 families, more than 10,000 people get food, and a total of more than 80 collaborative outlets are available to distribute food. In particular, according to the website of the Oasis Food Bank, in October 2016, “Shared Refrigerator” was piloted in some neighbourhoods in Shanghai. It adopts a “B-C” (Business to Clients) donation model. Supermarkets, restaurants and bakeries can regularly store safe food in the refrigerator for residents who need food. However, the number of Food Banks in China is still relatively small. Only Shanghai currently has food banks, although Shenzhen, Chengdu, Beijing, Handan and Qingdao have submitted applications to the government. But there are still 40 million poor people in China at present, many of whom are food insecure. The gap between urban and rural development is still significant. The food bank in Shanghai may be a prototype for an effective way to alleviate food insecurity of the poor in China. My understanding of food banks in Canada made me reflect on the future development of food banks in China: (1) the experience of food banks in Canada shows that they are actually a complement to the urban food security system. Even in developed countries, food from supermarkets and other food outlets cannot guarantee food access for everyone in the city. However, food banks run by NGOs can provide food for some poor people who are food insecure, and improve the food security condition of the entire city; (2) Food banks are also a way to reduce food waste. Some families donate redundant food to food banks. In this way, it can not only effectively reduce food waste at the household level but also help those who need food; (3) the development of food banks in China should also pay attention to food safety issues. People who need food relief are often people with low family wealth and weak personal health conditions. They are therefore especially sensitive to food safety risks; (4) Given China’s large poor population and its developmental agendas such as “Rural Revitalization”, China can rely on social organizations to operate more food banks to lift China’s poor residents out of food insecurity with the guidance and support of the government.